News from IPTLD & Dr.Donato Perez Garcia,MD : WHAT’S WORSE, CANCER OR CHEMO? 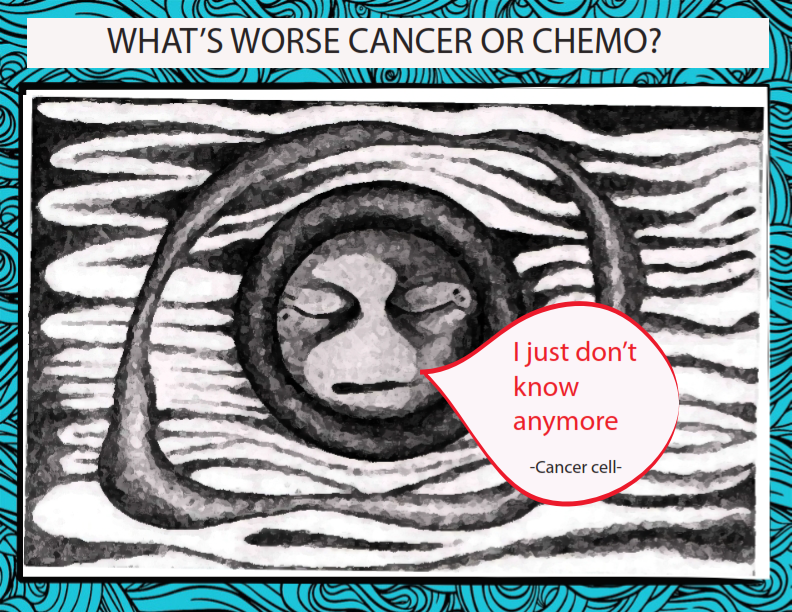 WHAT’S WORSE, CANCER OR CHEMO? It has been said then, when treating cancer, the cure is by far worse than the illness itself. If you’re a cancer patient and been thru several full dosage chemotherapy, you know what we’re talking about, if you’d had a friend or relative go thru this, you know what we’re talking about. Very often patients relate chemotherapy with fear, if you’ve been there, you know how bad the side effects can be. Unfortunately, what people don’t know is that it’s not the chemo what makes it so dreadful, but rather the dosage. *Gastrointestinal distress (nausea, vomit, diarrhea, constipation, malnutrition, dehydration, weight loss...). Since 1942, there have been many chemotherapy drugs, most of them are derived from poisonous plant extracts, they are powerful agents that can kill human cells by the bunch. Unfortunately chemo itself makes no distinction between healthy and sick cells, it just kills cells. Because every human handles disease differently, same goes with medication. For some, high dose chemo is the answer, and has saved lives at a great cost of pain and discomfort, but many others cannot handle such strong medication, their bodies cannot take it and sadly die. Some decades ago there was probably no other option, but today there is a better, smarter way to do chemo. Using Insulin Potentiation Targeted Therapy. 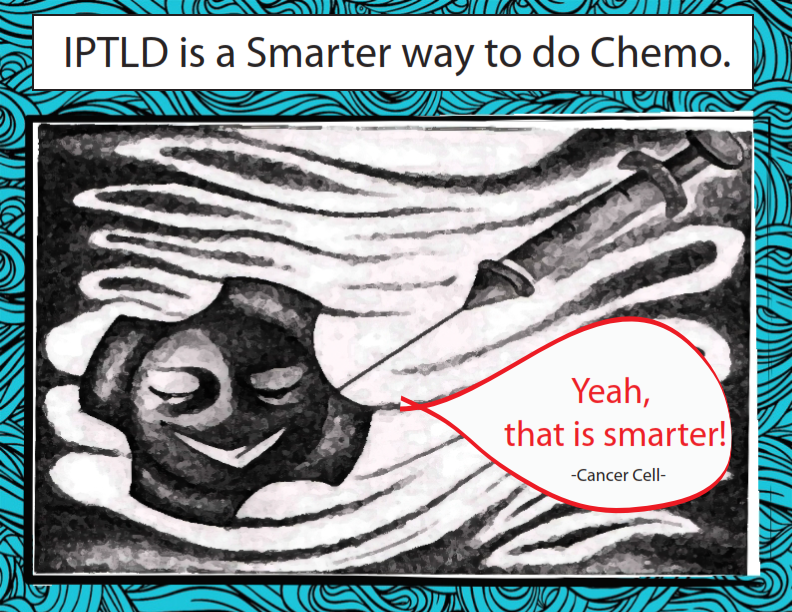 IPTLD uses insulin to target only cancer cells, help them open up their membrane to let all the medication inside the damaged cell using less than half the dosage of traditional chemo sessions, thus reducing even eliminating all the horrid side effects. That means more energy, less chemo less toxicity, gentler on your body; potent and precise on cancer cell annihilation. IPT will also provide detoxification, immune boosters and essential nutrients to strengthen your natural defenses against any other carcinogenic agents, helping your own body defend itself not just the chemo. Now doesn’t that make sense? Chemo doesn’t have to be worse than the cancer, Insulin Potentiation Targeted Therapy is a smarter, potent yet gentler way of delivering chemotherapy, think about it! Gives a call, write to us, we’ll tell you more! Good health to you all! Sincerely Donato Perez Garcia, M.D.